Part 1: War. 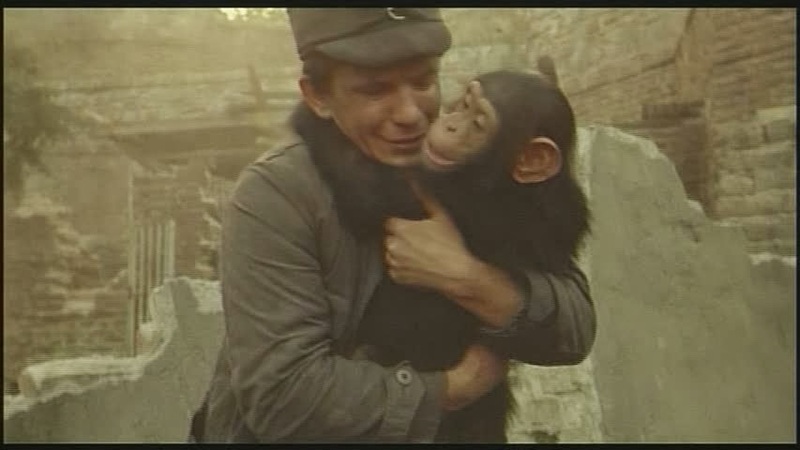 Marko and Blacky are two high-spirited best friends drunkenly living it up as smalltime thieves in 1941 Belgrade. The Nazi's bomb the city and Ivan, Marko's stuttering younger brother and town zookeeper, is witness to the chaos and destruction of the city as his exotic animals escape across the ruins. The Germans occupy the town so Marko sets up a clandestine shelter for communist partisans in the enormous cellar of his granddad's house. He eventually retreats into the hideout with a large contingent of refugees, including Blacky's wife Vera, who promptly dies giving birth to Jovan. Three years later Markos is selling weapons made in the cellar-turned-factory which Blacky then sells to the resistance forces. On Jovan's birthday Blacky gets drunk and kidnaps actress Natalija, his former mistress, during the middle of an execrable theatrical performance. They hold a wedding on a nearby boat but Franz, a German officer that Natalija strings along to obtain medicine for her brother, crashes the party. Blacky is captured and tortured with electroshock at a nearby asylum, but he's been immunized by his former career as a pole-climbing electrician. 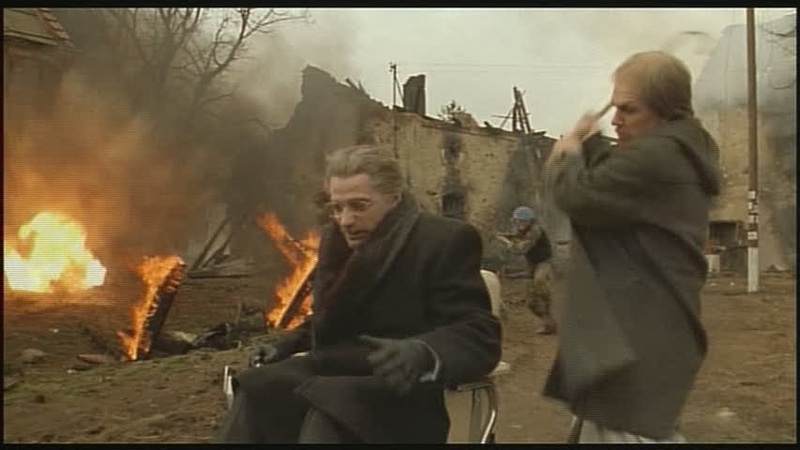 A disguised Marko is able to rescue him, however during their escape Blacky is seriously injured by his own grenade. While he recovers, Marko hooks up with a very willing Natalija. They dance in the street as Allied bombs rain down, signifying that WWII is drawing to a close. Part 2: Cold War. It's twenty years later (1961) and Marko is now a close military advisor to Yugoslavian dictator Tito. He has kept the People's Army supplied with guns by exploiting the imprisoned citizens (including Blacky) of his subterranean community, who are convinced, by elaborate lies maintained by Marko, that the war still rages on above-ground. Jovan is now 20 years old, and he is celebrating his marriage to Jelena, both of whom have never seen the sky or any other part of the outside world. During the celebration, Ivan's pet monkey, Soni, enters a tank built by the cellar-dwellers and fires a round through a wall, allowing him, Ivan, Blacky and his son to escape into the sewers. Blacky and Ivan unwittingly come to the surface near the set of "Spring Comes on a White Horse," a ridiculous war movie based on Marko's dishonestly self-aggrandizing memoirs. Blacky kills the actor playing Franz, mistaking him for the real thing, and then hides out at a riverside camp. 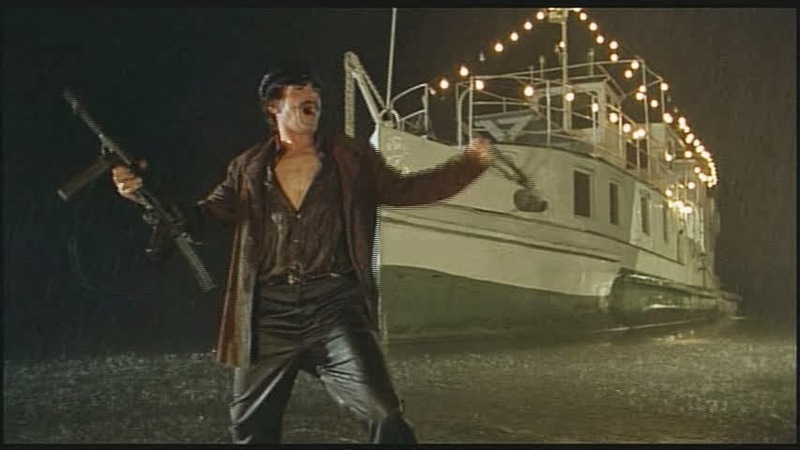 Distracted by a helicopter sent to pursue the murderers, Blacky loses track of Jovan, who, inexperienced and greatly-overwhelmed, drowns in the river. The youth sinks into the depths where he is reunited with Jelena, who has since jumped into the underground shelter's well believing herself abandoned. Part 3: War. In 1992, a much traumatized Ivan has found his way into Berlin via a secret underground motorway that connects European capitals. There he has laid low while nursing the delusion, fueled by his language barrier, that the Germans won the war. He is still searching for his monkey. A researcher meets with Ivan, learns of his past and tells him the truth: that Yugoslavia is no more and that his brother betrayed him. Ivan goes searching for revenge amid the chaotic violence of the Balkan wars, where Marko has become a notorious international arms dealer. Nearby, Blacky fights on as an independent warlord still loyal to his hopelessly idealistic nationalist dreams and desperate to find his son, whom he hasn't admitted is dead. Underground is a sprawling war epic unlike anything else you've seen, and despite it's nearly three hour length it's so charged with energy, inventiveness, passion, tragedy and humor that it rushes briskly by to the tune of an indefatigable brass band. It's no accident that it took me four paragraphs just to present the winnowed-down highlights of the overpopulated plot, whose towering ambition is nothing short of a 50 year history of Balkan conflict framed as a fairy tale modernization of the biblical Cain and Abel. 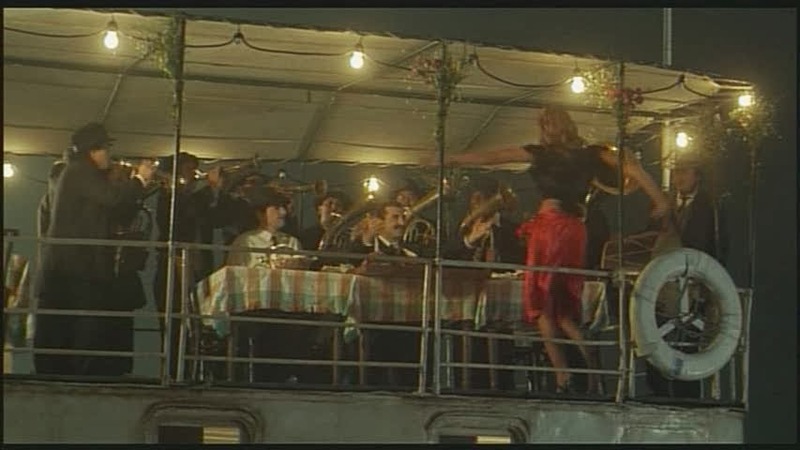 The multi-talented director Emir Kusturica takes the betrayal of family, friends and ideals (A German misinterpreting Ivan's past as allegorical admits that, "communism was one big cellar. "), the endless cycle of warfare (the three-part structure of War, Cold War and War isn't hard to deconstruct) and human nature's affinity for fabrication (Marko's grandly "beautiful" lie, the film set mistaken as the real world, Natalija's madness-inducing dual-role as Marko's wife above and Blacky's wife below, etc.) as powerful and deeply-felt central themes, and yet the film is devoid of art-film pretentiousness and is often laugh-out-loud funny due to its over-the-top performances and morbidly inspired absurdity. Visionary images both comic and tragic stuck in mind more than a decade after I first saw Underground: a lion roaming rubble, Marko shining his shoes with a black cat, Jovan's birth illuminated by a bike-light peddled midair, the dusty orange utilitarianism of the shelter, a riverboat lit up like a Christmas tree, Jelena soaring above her wedding, trucks carrying human cargo through Dantesque tunnels, Blacky caught in a fishing net, a war-ravaged church bullet-proofed with tires, a burning wheelchair circling a broken man, a banquet breaking free of the mainland and drifting downriver and the list goes on!